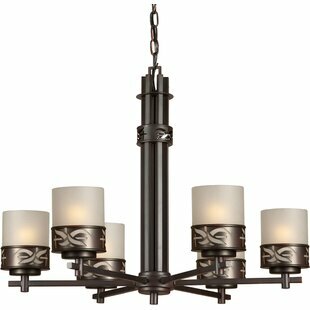 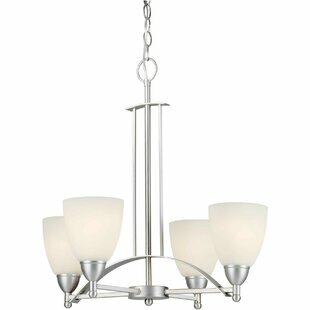 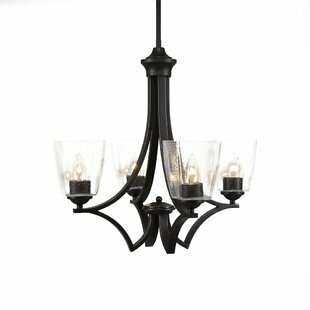 Warm and inviting, Shell 3-Light Shaded Chandelier will easily accentuate any dcor in your home. 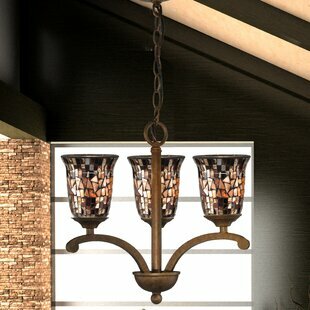 A trio of uplift tulip shades, each crafted of variegated shades of amber art glass set in a mosaic pattern will cast off a shower of golden sparkles when the chandelier is lit. 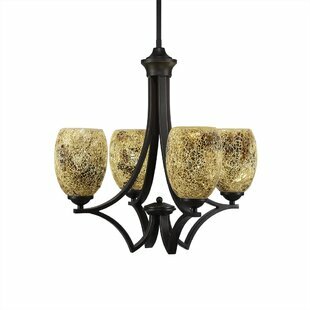 The shades each sit atop a gracefully curved arm that extends outward from the metal base, which is finished in antique golden bronze. 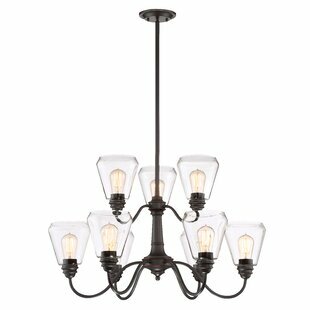 The chandelier hangs elegantly from a round metal ceiling canopy and wire cable/chain... 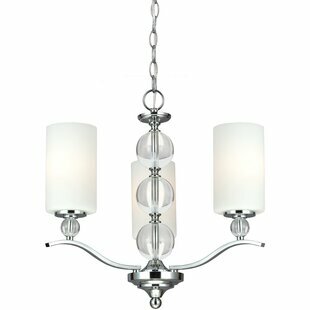 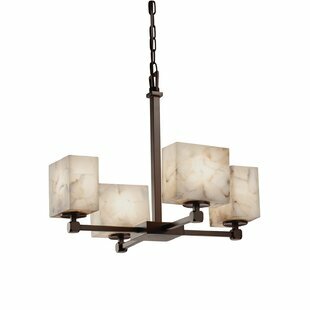 Number of Lights: 3 Fixture Design: Shaded Chandelier Adjustable Hanging Length: Yes Fixture: 13.5 H x 12 W x 12 D Overall Weight: 8.5lb.